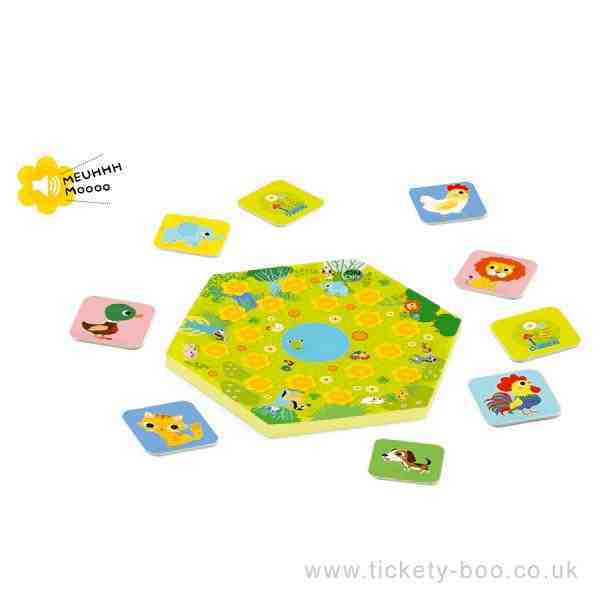 A fun game of pairs where you have to press the yellow chip, prick up your ears and recognise an animals noise, then find it amongst the cards. An updated classic for demonstrating memory and listening. 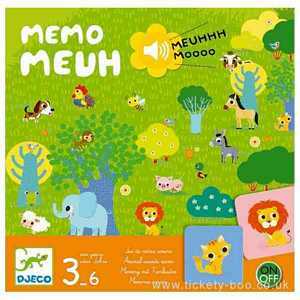 This animal sound memo game is for 2 to 4 players and lasts about 10 mins.